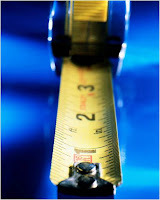 E-Quip Blog: Are You Measuring the Things That Really Matter? The connection between metrics and peformance is well established. The old axiom "what gets measured gets done" is true. What is less clear is whether most firms are tracking the best performance indicators. Four underused measures come to mind. They each relate to goals that we can all agree upon. But somehow measuring performance in these four areas has not been a priority in most A/E firms. I'd like to make a case for adding these to the metrics you use, if you're not already. Client satisfaction. Undoubtedly serving your clients well is one of your firm's core values. So how are you doing? Most firms can't answer that question with any certitude. Sure, they point to the fact that 80% of their work comes from repeat clients. But that's fairly routine in our business, not exceptional. The fact is that only one in four A/E firms routinely solicit performance feedback from their clients. Plus there's ample evidence that clients are not as happy with us as repeat business rates might suggest. So here's a clear opportunity to measure something that really matters, and something that most of your competitors aren't. I provided some specific guidance on soliciting client feedback in a previous post. Employee satisfaction. The second core value that I see most prominent among firms is some recognition of the central importance of the people who work there. In professional services, the quality of a firm is mostly dependent upon the quality of the staff. With a growing talent shortage (the weak economy notwithstanding), most companies realize that having satisfied employees has never been more vital. So why aren't more firms asking their employees what they like and don't like about their employer? As with presuming client satisfaction, firm principals often overestimate how well they're serving this crucial constituency. Oddly, managers are sometimes reluctant to conduct an employee survey for fear that they'll learn the truth (usually explained as being hesitant to "stir the pot" or some similar metaphor). There's a mistaken notion that surveying employees creates problems rather than reveals them so they can be addressed. Similar to clients, retention data can be misleading. Many employees don't leave for the same reason that many clients don't leave--it's hard to start over. But as important as employee retention is, that shouldn't be your primary goal for seeking satisfied employees. Research shows that uphappy employees exact a high cost in lost productivity, not to mention impossible-to-quantify opportunity costs (i.e., things you might have accomplished if your employees were more enthused about their jobs). And then there's the value of treating employees well simply because it's the right thing to do. I advise conducting annual employee surveys so that you can both (1) track trends over time and (2) gage response to steps you've taken to address areas of concern. An important thing to keep in mind about employee surveys: You have to act on the feedback you receive. Fail to do so and you risk invalidating the whole process. This doesn't mean that you're committed to fixing every problem or shortcoming that comes to light. What employees want is that you acknowledge and value their feedback and take reasonable steps to address their concerns. Supervisory performance. Why is this important? Because research indicates that bosses are probably the most important factor in defining the workplace environment. As Gallup puts it: "People join good companies and leave bad bosses." So if satisfied and loyal employees is your goal, then you should take steps to try to provide them effective bosses. A good place to start is to get feedback on how employees think their bosses are doing. Typically this type of feedback is acquired through a 360-degree review, as part of the annual performance appraisal process. In this context, it is the feedback from supervisees that is key. Unfortunately many firms aren't seeking this kind of input. Once again, they may be making the mistake of assuming they know how employees feel about their bosses based on anecdotal evidence. Such evidence is rarely reliable. You have to ask the people whose perceptions matter. I encourage firms to establish clear performance expectations for those in supervisory roles. Many managers are not judged on how they supervise and mentor others, but on other metrics such as utilization, sales, revenue, and profit. These, of course, are important measures of success. But don't ignore the crucial role that managers have in guiding and working with others in your firm. That relationship strongly influences your firm's overall performance. Targeted behaviors. What? I doubt you've ever heard of such a metric. I borrowed the concept from the time I spent with my former employer developing and implementing a new behavioral safety process. Safety, like most performance issues, is usually monitored by tracking what is known as trailing indicators. These include measures such as OSHA recordable incident rates, lost work days, and near misses. Most other business metrics are also trailing indicators; they describe outcomes resulting from past actions. To improve those metrics, of course, you need to change current and future behaviors. How will you know how well you're doing? By looking at subsequent trailing indicators? That will help, but after the fact. A better way is to monitor the current behaviors--a leading indicator--that you believe will yield better future results. In behavioral safety, this is done by a process known as "observation and feedback." In this approach, someone regularly observes people working, checking in particular to see that they are doing the few "targeted behaviors" that are deemed most important to getting the desired results. The observer uses a checklist to document which of those behaviors are exhibited (judged on a pass-fail basis). Workers are provided with real-time feedback, either complementing them on doing things the right way or pointing out how they can improve. Rewards are provided to both individuals and teams according to their scores. This kind of approach (as part of an overall behavioral-based safety process) has helped numerous companies dramatically improve safety performance. Could a similar approach be applied to other tasks and performance goals? I believe it could. It clearly defines what behaviors and methods are expected. It monitors work activity in real time, providing feedback and coaching, and rewarding good performance. It focuses on the most critical ingredient of organizational change and improvement--individual behaviors. So as you look ahead to 2009, let me suggest you revisit the question: Are we using the right metrics to help us achieve the results that matter most? Hopefully I've inspired you to consider a few different options.